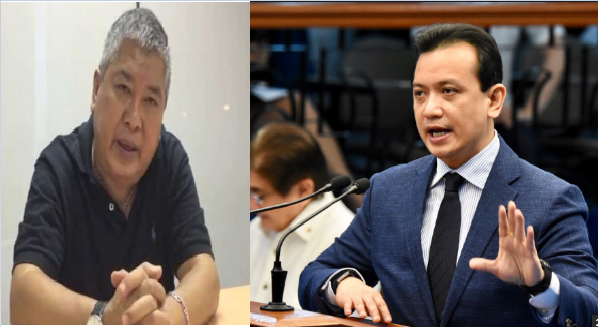 Home / Opinion / Jose Alejandrino: "Trillanes record as a coup plotter, mercenary, liar, is obvious for anyone to see"
Jose Alejandrino: "Trillanes record as a coup plotter, mercenary, liar, is obvious for anyone to see"
It was said that the first rule of war and business is to know your enemy. From the famous saying above, prolific and veteran journalist Jose Alejandrino has just made an example out of Senator Antonio Trillanes IV who has been active in plotting coup against the government (particularly of GMA and Duterte’s admin). Alejandrino, also a former Presidential Assistant for Economic Affairs, took Facebook and initiated to detail the history of Trillanes, whose amnesty was recently voided by President Rodrigo Duterte, due to failure to complete the requirements for his pardon. The columnist started off with the coup staged by Trillanes against then president Gloria Macapagal-Arroyo, and how he struck a deal with Noynoy Aquino to get an amnesty. Antonio Trillanes staged a coup against GMA. He struck a deal with Noynoy to release him from prison. Noynoy agreed because he hated GMA and CJ Renato Corona for wanting to dismantle Hacienda Luisita. Trillanes became his hatchet man. His party NP was allied with the LP which assured Trillanes' election to the Senate with 14 million votes in May 2013 thanks to Smartmatics. During Noynoy's term he gave away Scarborough to the Chinese. Later, he refused to answer JPE's questions about his dealings with China and just walked out of JPE's committee hearings. The LP would then topple Duterte as president in case he won and still have Trillanes or Robredo to replace him. Trillanes would be its Trojan horse inside the Duterte camp. It was a clever plan. Only Duterte didn't bite. He turned down Trillanes' offer. A dejected Trillanes went back to being the hatchet man of the liberals who weren't worried because they still had Smartmatics to ensure a Robredo win. Trillanes didn't disappoint LP. He attacked Duterte by slandering him and his family after Duterte won without providing a shred of evidence to substantiate his accusations. Trillanes record as a coup plotter, mercenary, liar, is obvious for anyone to see. He was well rewarded with pork barrel - 50-million alone from DAP in Oct. 2012 according to DBM records - by the Noynoy administration. When the Anti-Christ arrives as absolute ruler of a world government, Trillanes will be picked by him as one of the three members of the triumvirate to rule the Philippines. He will persecute thousands of God's followers and order the Duterte family to be put to death. That is what Trillanes meant when he warned Duterte his day of reckoning will come. Antonio Trillanes is the epitome of evil. When he snickers, you can see by the way his eyes and mouth move the face of Satan.